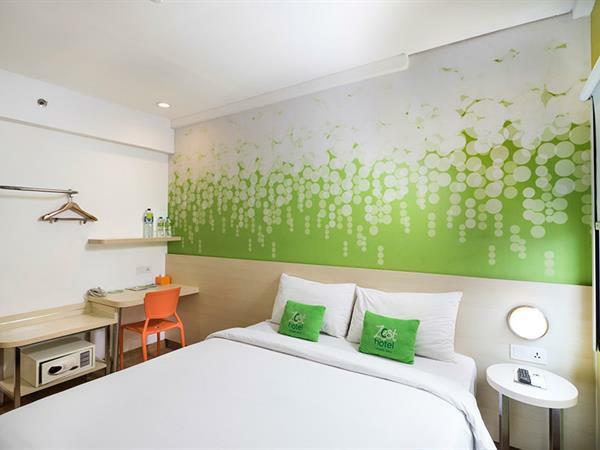 Zest Hotel Legian features 51 stylish Zestrooms, some featuring a balcony, a special appointed room for disabled guests, 1 connecting room and twin bed room which can be configured into one large double bed room. Room amenities include: contactless entry door lock system, full length mirror, 32 inch LED television with 60 local and international chan-nels, in-room safe with auditable system, minibar, telephone, Wi-Fi internet access, air conditioning, uni-versal adapter, small fridge in Zest Rooms with balcony, bathroom with hot and cold shower and free in room drinking water. Zest Hotel Legian provides 16 Zest Queen Rooms, 27 Zest King or Twin Rooms with 2 Single Beds and can be arranged into 1 large double bed and 8 Zest Queen Balcony Room. Each of our 27 Zest King or Twin Rooms feature two single beds and can be configured into one large double bed, Free Wi-Fi, In-room safe, minibar, bathroom with hot & cold shower, air conditioning, and all are 18 Sqm in size. Each of our 8 Zest Queen Balcony feature a Queen bed, Free Wi-Fi, small fridge, In-room safe, bathroom with hot & cold shower, air conditioning and all are 18 Sqm in size. 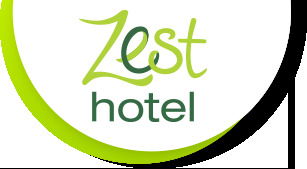 Each of our 24 Zest Queen Rooms including 8 Zest Queen Balcony Rooms feature a Queen bed, Free Wi-Fi, In-room safe, minibar, bathroom with hot & cold shower, air conditioning and all are 18 Sqm in size.